Add one more to the list of Ron Thom-designed houses currently for sale: the Boyd/McPhedran house in West Vancouver has just been listed. 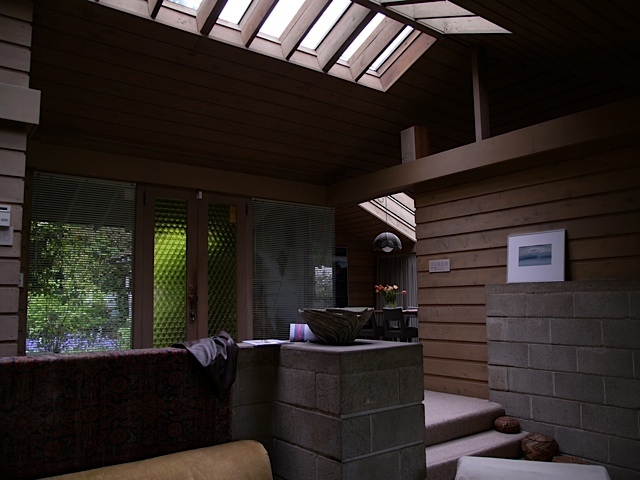 It's an earlier design (from 1954) that shows his evolving approach and increasing mastery of the rocky terrain of the North Shore: hipped roof, deep overhangs, limited palette of natural materials and integration to site. It was originally built for art school friends of Thom who only lived there for a short time. The house has been sensitively maintained and expanded over the years and retains a graceful sense of proportion and scale. See Kerry McPhedran's Western Living article that explores Thom's Vancouver work and her relationship with the house. It's a notable piece in Thom's oeuvre, mostly for it's muted architectural beauty but also because of its influence: it had a profound impression on a young Paul Merrick as well as the numerous clients Thom showed the house to as an example of his work. It joins the Forrest (for sale, again), the Work/Baker and the Norman houses on the market– a group that spans not only the geography of Vancouver but also Thom's architectural output in the city.